If you need reliable service for your commercial refrigeration equipment,	you can turn to our team at	Alaska HVACR for assistance! 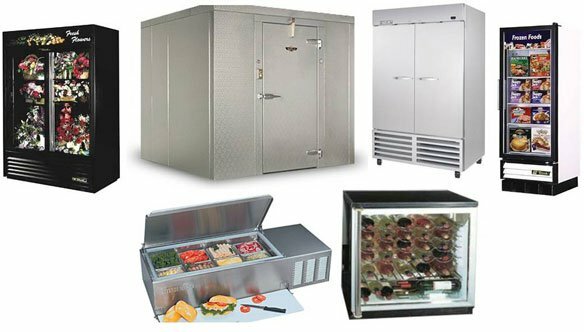 We offer full-service maintenance and repair for all types	of commercial refrigeration appliances, from small refrigerators that	fit under the counter to 30-ton-per-day ice machines. We serve clients	who work in a diverse range of industries. Whether you need assistance with upgrading, retrofitting, cleaning, repairing,	or installing your commercial refrigeration equipment, we are your one-stop	solution. We are proud to be experts in our field, and we are knowledgeable	in areas that range from medical refrigeration to cooling of scientific	test chambers. When your refrigeration equipment is not functioning properly, this can	cause serious disruptions to your business operations, and even safety	hazards to the people you serve. Our refrigeration professionals are here	to get your equipment back in working order! Tell us about the issues	you are experiencing and get the tried-and-true assistance you are looking for. Contact our Oakland office at (510) 261-9202, our San Francisco office at (415)	861-6274, or our Concord/Walnut Creek office at (925) 686-2086.